Joost sealed an exclusive partnership with MLB Advanced Media (MLBAM), the interactive media and Internet company of Major League Baseball. The agreement grants Joost the rights to make on-demand game broadcasts and highlight clips from the 2007 MLB postseason, including the World Series, and Daily Rewind, an MLB.com produced daily highlight program, available on its streaming video distribution platform to a global viewing audience. National Lampoon, Inc. announced that it will launch the National Lampoon channel and bring program offerings to Joost. All of National Lampoonâ€™s new programming will be made available on Joost through the National Lampoon Joost channel. Initial programming includes National Lampoonâ€™s hugely popular webisodes, which have drawn praise from top critics nationwide, as well as National Lampoonâ€™s SpinCycle mashimations and the Fat Guy Nation series. Beauty TV announced that it will bring program offerings to Joost, the world’s first broadcast-quality Internet television service. Founded in 2006 by Latino entrepreneur Rob E. Angelino, Beauty TV is dedicated to the beauty enthusiast in the ever-growing $150 billion dollar a year beauty industry. Since its launch on January 9, 2007, Beauty TV has delivered programs about beauty, fashion and health to a global audience. With the Beauty TV network on Joost, these enthusiasts worldwide will be able to pick up trends and tips anytime through the online entertainment destination. “Beauty TV’s business model centers around delivery of the best beauty programming through a number of different mediums, and Joost is an important part of that strategy,” said Rob E. Angelino, Founder & CEO. “Our relationship with Joost is very important to expanding the global reach of Beauty TV. Joost announced that Next New Networks will bring three program offerings, Pulp Secret, ThreadBanger and Channel Frederator, to Joost. “We are excited to enter into a new relationship with Joost and launch some of our networks today. In going forward, Next New Networks anticipates rolling out more networks on Joost,” said Herb Scannell, cofounder and CEO, Next New Networks. “The Joost platform is a destination where people come together over great programming in a wide range of categories, and the Next New Networks channels fit perfectly with our model,” Yvette Alberdingk Thijm, executive vice president of content strategy and acquisition for Joost, said. Joost has appointed Mike Volpi as chief executive officer, succedding the company’s founding CEO Fredrik de Wahl who remains as chief strategy officer. 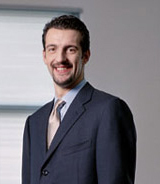 Volpi joins Joost from Cisco Systems, Inc., where he spent 13 years in a variety of strategic management roles. Most recently, he managed a US$11 billion business as senior vice president and general manager for Ciscoâ€™s Routing and Service Provider Technology Group. â€œJoost is one of the most exciting companies in the media industry. Fredrik and the Joost team have built a world-class ensemble of talent and created a company and a product with the potential to change the way video is enjoyed around the world. I am thrilled to have the opportunity to lead this team as the company embarks on its next critical stage of development,â€ Volpi said.